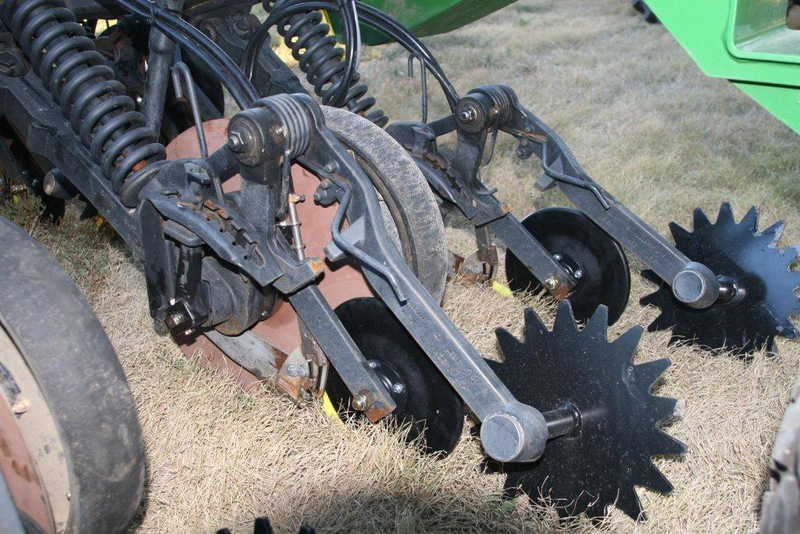 Several Changes are being made to build an improved 1890 single disc seeder. Triple Threat and a Rotationally Powerful, Purpose Built 1890. Acid banding of dryland corn. 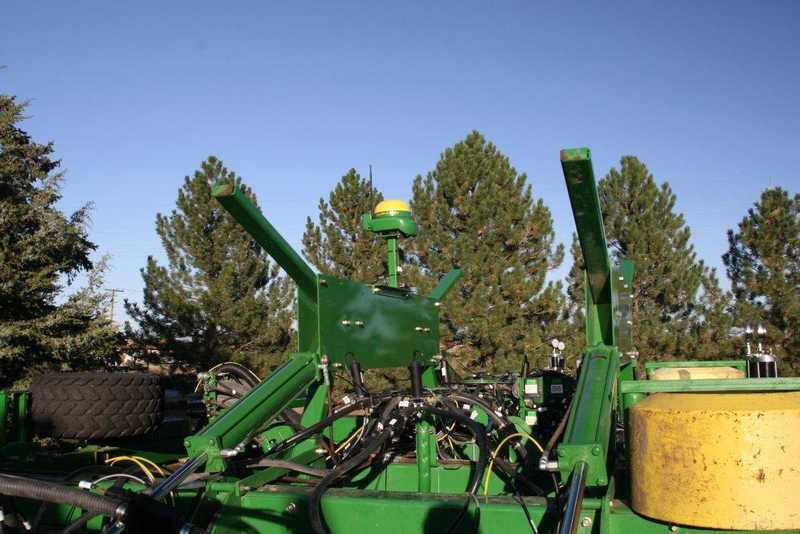 B. TAPPS single pass application and seeding of winter wheat on irrigated and dryland. C. The machine can also be applied to side dress application of winter wheat in late fall or early spring. using KTS and Humic Acid. 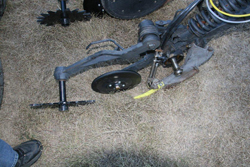 the center frame and tractor suit case weights added to the outside frame fore and aft..Fluid installed in the rear tires. precision hub bore and special edging. 3. Exactrix 4.47 Wing Injection with tilt feature for banding at 4 inch depth….10 inch centers. 4. 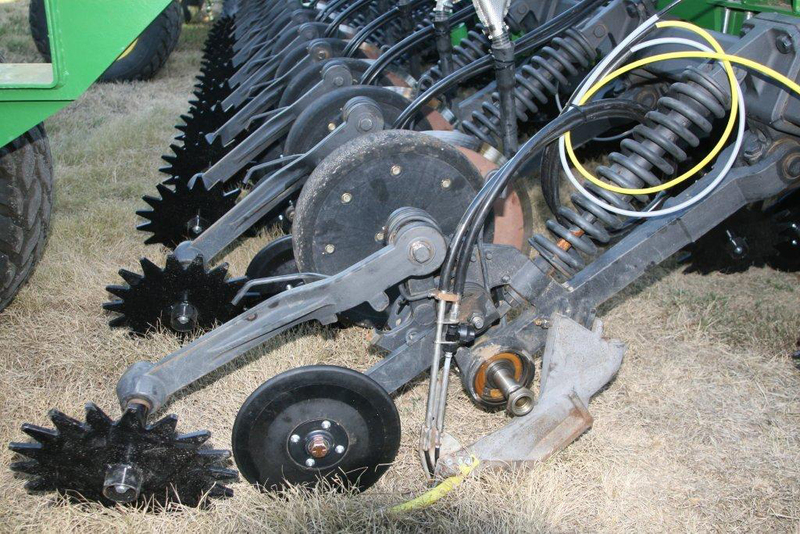 Carbide added to the seed boots for banding at 4 inch depth. 5. 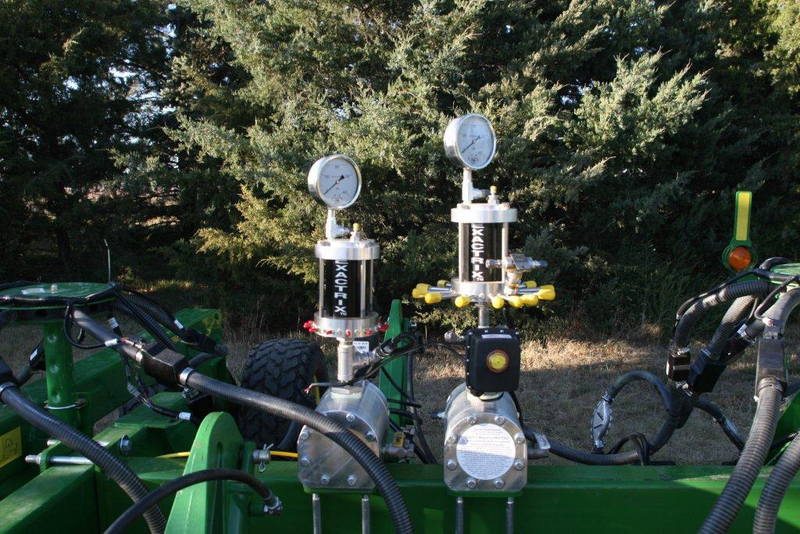 Needham Ag seed bounce and firming Tabs. 7. Needham Ag narrow seed firming wheel. 9. Seed Flow Split at the Tower improved by Needham inserts. 10. 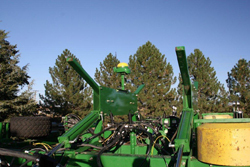 All Run John Deere seed flow monitor. 12. 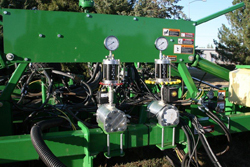 Amity Tram Line Control for 120 foot Sprayer. 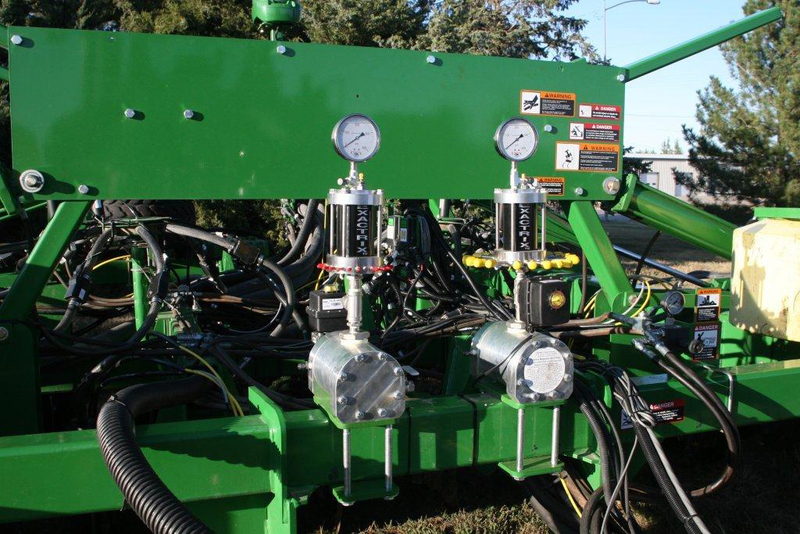 14, Yielder Hydraulic Ride Control with accumulators installed. 15. 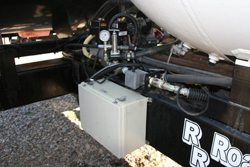 Transfer pump to move 1,000 gallons of APP/ATS/KTS,AZn, B, Cu. 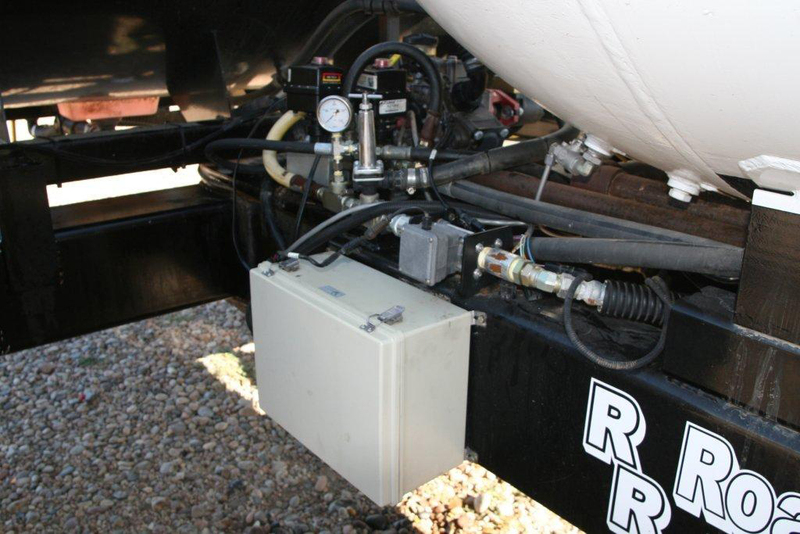 and Humic Acid to the rear trailer tank. 16, ISO-Bus, 3 section, control of 2KC and 2KP.Center Section is wider than wings. 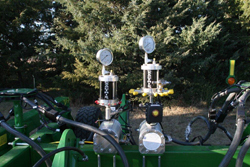 17.Electronic gauge panel complete with Tach for 2 pumps.